Blue lights start flashing behind you on a lonely Virginia highway. What do you do? James Cleaveland started recording. What happened next, he could have never predicted. It’s a good thing he got it all on film! UPDATE: James’ charges have been dropped. Many speculate this is due to his video record of the events. 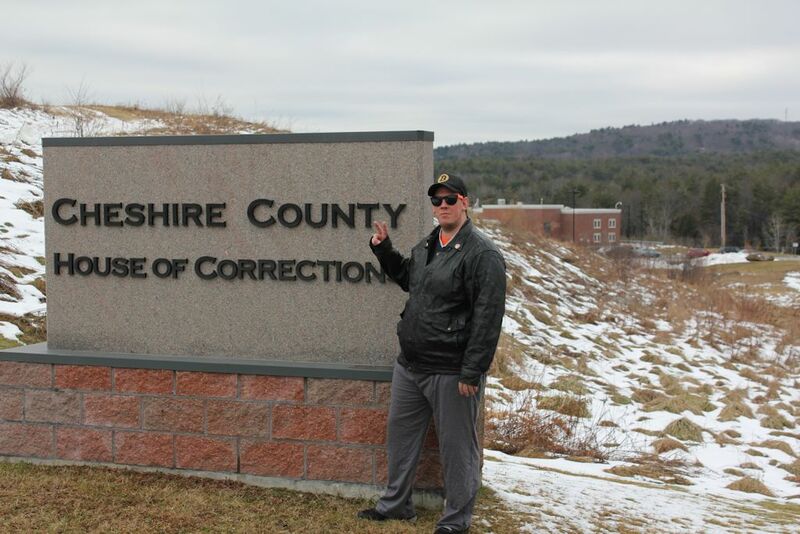 Heroic activist, blogger, entrepreneur, and Free State Project participant James Cleaveland was sentenced in Judge Burke’s courtroom in Keene, New Hampshire for the charges of “disorderly conduct” and “resisting arrest”. His charges stem from a June 30th incident in which James was video recording police. According to officer accounts, James was ordered to move back from an “active scene,” and he complied. After complying with the first officer’s request, a different officer demanded he move back further. He refused and was arrested. The Free Staters are upsetting local bureaucrats again. This time they tried to return freedom to the people by limiting the amount of money local politicians can demand from them. The politicians weren’t happy. What Happens If You Don’t Speak at Court? Who says court has to be boring? In Keene, 5 activists turned out to support me for a simple parking ticket arraignment. We laughed and joked as one wore a winter hat despite the court rules of decorum prohibiting headwear. We watched as the obedient slaves took their whippings and pled guilty to a bunch of vicimless crimes. Then it was my turn. Derrick J Freeman and more than a dozen activists, many from NH, were in front of the Manhattan federal district court yesterday. Not only did they make news, they also got to judge to threaten the entire courtroom! More on that in a later post. For now here’s FOX NYC’s report on the Ross Ulbricht / Silk Road trial happening now, which features Free Keene blogger Derrick J! Local government bureaucrats in Keene are infringing on my right to bear arms. In July I applied for a concealed carry license. One man, Ken Meola, denied it. 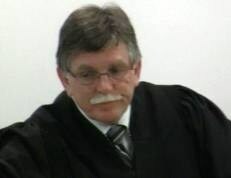 I appealed, and this week the news came back: Judge Burke denied my appeal. Judge Burke’s decision means that while it is perfectly legal for me to carry a firearm openly, it is a crime for me to conceal that firearm, for example by putting on a winter jacket. The next step is to move on to the State Supreme Court. I haven’t decided whether or not I’m going to do that, but I’ll give another update when I speak with my attorney. I’m disappointed about this decision, but I’m not surprised. The State is a many-tentacled beast, and the different facets of it protect each other. First the legislators did their part by camouflaging a restriction as a right: they call NH “shall issue” but ultimately leave the power of permission to one man working for the police. Then the police did their part to deny my rights, essentially arguing that they are restricting my freedoms because I don’t respect them. Finally, appeals are made to lawyers who also work for the State. For those who missed it, here is a link to video of the full hearing. Darryl W Perry walked into the Cheshire County House of Corrections this Friday. He walked out today, Monday. However, according to Mr Perry, he was not corrected. Darryl was sentenced $163 in fines for the offenses of “Residency” and “Operating a Vehicle That is Not Registered”. What that means in plain English is that Darryl has a valid driver’s license in Arizona, but the State of New Hampshire alleges that Darryl is a resident of New Hampshire and must change his license over to New Hampshire. New Hampshire law specifies that an inhabitant is not necessarily a resident, and Darryl asserts that he is not a resident. Therefore, he is not required to apply for a new license. Even if he wanted to, Darryl points out that he lacks the documents the State needs to prove residency. Even if he were able to acquire the forms and signatures necessary, he still wouldn’t be granted a new license because he has a warrant out of South Carolina (also for victimless crimes).